The model has promise for improving student outcomes, but experts say data monitoring and campuswide collaboration are critical. Community colleges are at a watershed moment. Long viewed as an inexpensive pathway to a better job, deep budget cuts and low graduation rates have raised doubts as to whether they can deliver on their promise of an accessible education with a clear return on investment. Meanwhile, automation has reshaped workforce needs by gobbling up unskilled jobs. The Great Recession marked the official "beginning of the college economy," according to the Georgetown University Center on Education and the Workforce. What that means, the Center explains, is that "good jobs" — or those that pay at least $35,000 — now mostly go to workers with at least a bachelor's degree. Those forces have caused community colleges to question whether they should shift away from a "cafeteria-style" education model, in which students have many choices but little direction. Now, the idea of creating "guided pathways," or a system that encourages students to develop a road map early in their education, is taking hold. How two-year institutions can best implement guided pathways, as well as measure the results of such initiatives, was the subject of a session Saturday at the American Association of Community Colleges' annual conference, held in Orlando, Florida. "If we're going to really move the needle on student success, we need to re-engage and radically rethink the whole college." Speakers from the Community College Research Center pointed to an array of problems that suggest the current system isn't working: Between 10% and 40% of community college students who apply don't show up to their first day of classes; roughly one-fifth are still enrolled in college with no credential after six years; and those who do complete a bachelor's degree usually end up with dozens of excess credits. Although switching to the guided pathways system can often take upward of five years, speakers said the effort is necessary to successfully operate in the future. "If we're going to really move the needle on student success, we need to re-engage and radically rethink the whole college," said John Fink, senior research associate at the Community College Research Center. Community college students need to start their education with their end goal in mind, speakers said, whether that's transferring to a bachelor's institution or earning a credential to land a better job. Under the current system, however, many students feel lost among the options and drop out as a result. As such, more colleges are mapping out program pathways or bundling courses to align with specific career goals. 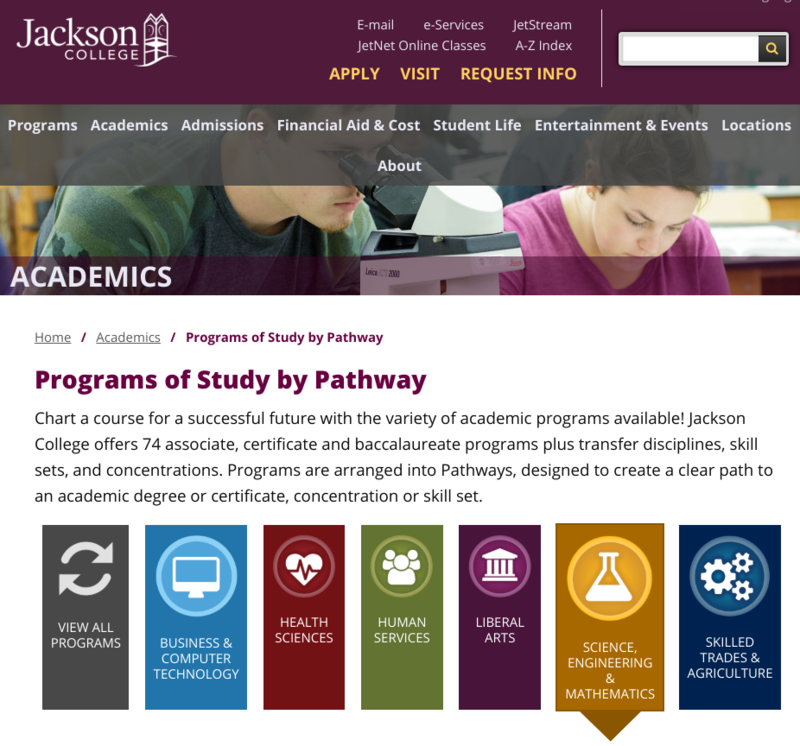 In 2016, Michigan's Jackson College, an early adopter of guided pathways, rolled out several "meta-majors" across fields such as the health sciences, business and the liberal arts. Online descriptions for each program indicate if they are a stepping stone to a four-year institution or a direct gateway into a career, as well as what students can expect in terms of career outlook and pay. Colleges tend to use meta-majors to draw in students with a clear pathway through the curriculum and ties to the workforce or other institutions. Jackson also overhauled its advising process by hiring more staff members, adding extra supports and checking in with students more frequently to ensure they stay on track. Jackson College, in Michigan, has charted several paths students can take through their curriculum. Early data suggests the changes are working. The share of students who earned at least six college-level credits in their first term jumped to 58% in the fall of 2016 from 35% in the fall of 2015. Moreover, the percentage of incoming students who completed college-level math in their first year rose from 19% to 43% over the same time period. Collecting this type of early data is critical to gauging if guided pathway reforms will improve student outcomes. That's because the ultimate measures of success — graduation and transfer rates and employment outcomes — aren't available until years after a college launches such an initiative, according to the Center. Several early indicators can help predict longer-term outcomes, Fink explained. Those include credit accumulation rates, gateway course completion and first-year persistence. Positive trends across these metrics can help inspire staff and faculty, some of whom may be suffering from "initiative fatigue," Fink said. "Colleges that are doing these large reforms can look at these year over year," he continued. "Leading indicators are really useful to motivate and continue to build momentum." Transitioning to a guided pathways model can be a heavy lift. Just laying the groundwork for such an initiative can take two or more years, speakers noted. "Guided pathways is a complicated, whole-college reform," said Hana Lahr, a senior research associate at the Center. Wallace State Community College, in Alabama, began its shift toward a total redesign in the fall of 2012, when it joined Achieving the Dream, a nonprofit devoted to institutional improvement. It took a couple of years for Wallace State to build support for the reforms, and then several more to introduce the idea of guided pathways, collaborate on mapping programs and reallocate resources to sustain the changes. So far, the initiative appears to be paying off. The share of Wallace State students who complete a degree or certificate in three years increased from 23% in 2013 to 38% in 2017. Colleges that want to undertake such an effort should adopt a "longer-term strategic perspective," said Davis Jenkins, a senior research scholar at the Center. "This process of jointly seeing how the college affects student outcomes and collectively taking responsibility without blaming ... it's a challenge everywhere." "Colleges are losing money (during) this transition," he said, explaining that successful reforms will reduce the number of unnecessary courses students take, initially hurting an institution's bottom line. Though colleges will eventually make their money back through increased retention rates, they need to have their "financial houses in order" before switching to a different business model, he added. Additionally, every stakeholder on campus — including students — needs to be involved in the transition process in order for it to be successful, the speakers stressed. Colleges can use surveys and focus groups to ask students where they encounter hang-ups during the enrollment, advising and other processes. Using that information, departments and units can come together to design pathways through the institution — from when prospective students first apply to when they transfer to a four-year institution or move into the workforce. 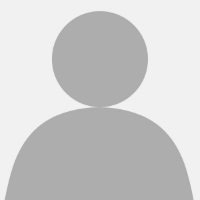 "Everyone has a stake in this," Jenkins said. "We could easily blame the counselors, or we could easily blame the faculty, or the intake people, or whoever. This process of jointly seeing how the college affects student outcomes and collectively taking responsibility without blaming ... it's a challenge everywhere."